Jürgen Klopp was absolutely fuming at the end of the goalless draw at Anfield last night but his anger was more directed towards the Bayern boss, Niko Kovač. 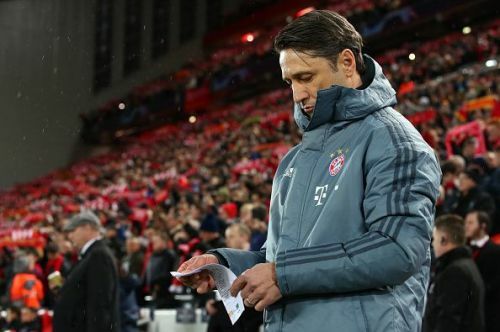 As the match ended, Klopp looked to shake hands with the Kovac when the latter busied himself in shaking hands with his whole bench. Klopp wasn’t too happy as he reminded the Bayern boss of the English football tradition of greeting the opponent before. That wasn’t the only thing the Bayern boss got wrong though. In the pre-match interviews, the Bayern boss spoke about the match saying that it surely wouldn’t end goalless. To his dismay, it was exactly what happened last night. Liverpool’s makeshift defence stood its ground with the front three often misfiring while Coman and Gnabry had been absolutely brilliant on the wings for Bayern, Lewandowski went missing. With Liverpool’s 15 shots as compared to Bayern’s 9 shots, it still ended goalless despite Alisson Becker and Manuel Neuer both having to sweat it out at times. A goalless draw might not be something the Bayern boss expected. He probably thought about a win, with Liverpool at least being on the scoresheet, but that wasn’t the case. Liverpool were without centre-back Virgil Van Dijk for the clash but the Fabinho - Matip partnership didn’t do too bad for a Champions League night. 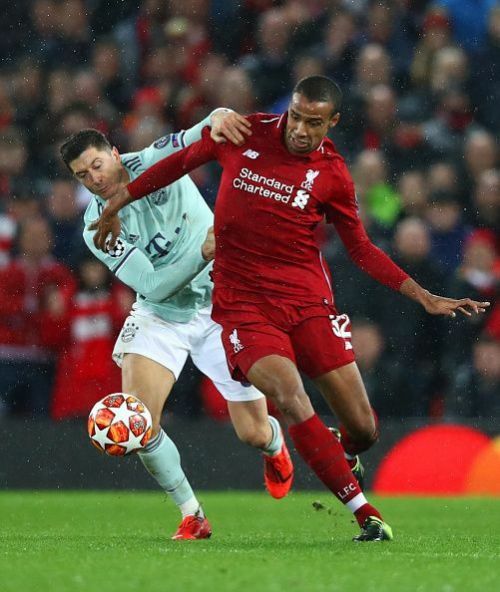 It probably was the best chance for Bayern to take on Fabinho in the absence of Virgil Van Dijk. James Rodriguez and Robert Lewandowski, though, had not been able to do much, with the latter having 34 touches - the fewest of any player in the starting lineup on the night. Sure, there had been moments of hesitation as Matip nearly ended up putting the ball in his own net as Becker stood ground. Fabinho, on the other hand, was a good replacement for the big man, Van Dijk. Alisson had a few nervy moments but when calling upon, he did well to stop a few shots. Javi Martinez put an absolute shift in the midfield for Bayern. Gnabry was much better on the wings, even getting the better of Liverpool’s Andy Robertson and Coman, overcoming his injury scare, didn’t disappoint either. But Bayern will definitely not be happy to not have taken on the makeshift defence of Liverpool last night. 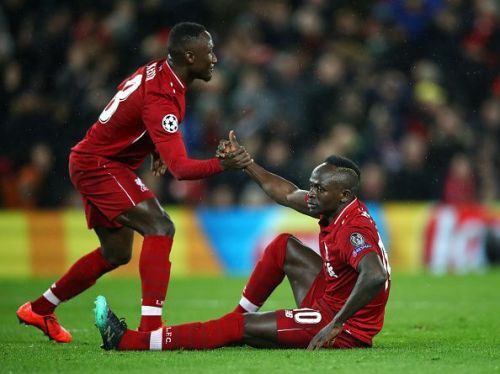 Sadio Mané had to be the most unlucky man on the night, missing out on absolute sitters. He put Neuer under pressure in quite a few situations. Salah had not been up to his usual form and the ill Firmino put on a good performance before being subbed out. The Keita-Henderson-Wijnaldum midfield worked quite well together with Henderson putting on a captain’s shift but the goals just didn’t come. And it probably was down to Bayern’s defence. With Hummels and Süle keeping Salah quiet, it was the golden chance for Bayern to put pressure on Liverpool, especially as Liverpool’s response to Firmino being subbed out was bringing on Divock Origi, who hasn’t scored since the Everton ‘90+6 minutes’ header. With Mané and Salah unable to recreate the front three magic with Origi, it had been Bayern’s chance to get the breakthrough but James Rodriguez was unable to lead Bayern’s counter-attacks. He couldn’t link Thiago and Martinez to Lewandowski, leaving the latter stranded in the Liverpool’s penalty area quite a few times. Bayern had been the better side, considering they got an away draw and would now welcome Liverpool for the 2nd leg at the Allianz Arena. 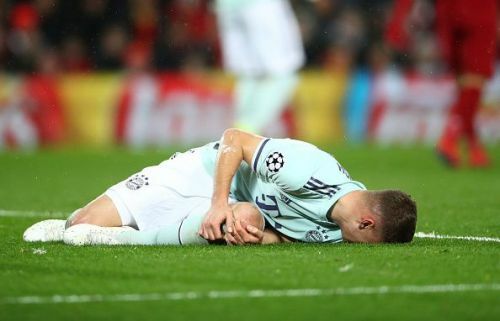 With an away draw, Bayern seem to be in the driving seat but they’ll have to do without Joshua Kimmich, who's suspended for the second leg after a yellow card. Kovač should have probably gone all out to at least get on the scoresheet because it’s not going to be easy for them without Kimmich. Liverpool, on the other hand, will welcome Virgil Van Dijk back. Just to remind the readers, even a goalscoring draw will see Liverpool going through. And Niko Kovac has probably missed a trick by not pressing enough in the second half. Without Kimmich, Bayern’s defence might be vulnerable as it’s not every day that Sadio Mané will miss sitters and Salah will probably chasing his form in the 2nd leg with a fit Firmino back with his no-look passes. It’s still anyone’s game to win in the second leg though Bayern will be ruing their missed chances. How did the stars perform as Bayern hold Liverpool at Anfield?